Harley loves Ilya. He gives her life purpose and sets her passion ablaze. So, when he asks her to prove her love by slitting her wrists, she obliges with only mild hesitation, perhaps because of her other all-consuming love: heroin. Directed by celebrated filmmakers Josh and Benny Safdie (LENNY COOKE, DADDY LONGLEGS), HEAVEN KNOWS WHAT blends fiction, formalism and raw vérité as it follows a young heroin addict (Arielle Holmes) who finds mad love in the streets of New York. The film—which world premiered at Venice (where it won the CICAE award) and subsequently played NYFF, Toronto and SXSW among other prestigious festivals—is based on Holmes’ soon-to-be-published memoir Mad Love in New York City. Co-starring Caleb Landry-Jones (X-MEN: FIRST CLASS, BYZANTIUM), HEAVEN KNOWS WHAT also features street legend Buddy Duress and gore rap phenom Necro. Co-directors Josh and Benny Safdie stops by for a conversation on the making of their raw, disturbing and impassioned new film. A perfect storm is brewing as agriculture pioneer Cary Fowler races against time to protect the future of our food. Seed banks around the world are crumbling, crop failures are producing starvation and rioting, and the accelerating effects of climate change are affecting farmers globally. Communities of indigenous Peruvian farmers are already suffering those effects, as they try desperately to save over 1,500 varieties of native potato in their fields. But with little time to waste, both Fowler and the farmers embark on passionate and personal journeys that may save the one resource we cannot live without: our seeds. 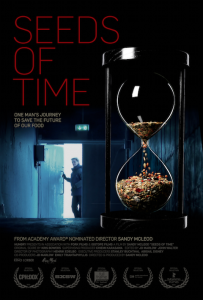 In the face of climate change and a growing world population, SEEDS OF TIME follows Fowler in his race against time to save some of Earth’s most precious resources: seeds. For more than 30 years, Fowler has led a distinguished career in conservation and use of crop diversity. Academy Award-nominated director Sandy McLeod (ASYLUM) joins us to talk about a looming worldwide crisis and the potential for a viable alternative. This is a story about clothing. It’s about the clothes we wear, the people who make them, and the impact the industry is having on our world. The price of clothing has been decreasing for decades, while the human and environmental costs have grown dramatically. The True Cost is a groundbreaking documentary film that pulls back the curtain on the untold story and asks us to consider, who really pays the price for our clothing? Filmed in countries all over the world, from the brightest runways to the darkest slums, and featuring interviews with the world’s leading influencers including Stella McCartney, Livia Firth and Vandana Shiva, The True Cost is an unprecedented project that invites us on an eye opening journey around the world and into the lives of the many people and places behind our clothes. 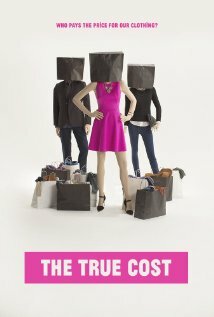 The documentary is focused on the fashion industry around the world, examining where we are (including the mind-blowing fact that we have seen a 500% increase in clothing consumption in the past two decades), how we got here (including how the U.S. went from producing over 90% of its clothing in the 1960s to just 3% today), and how we can create a better future moving forward. Filmmaker Andrew Morgan talks about the surprising human and environmental impacts of the global fashion industry – including the trend of “fast fashion” from leading companies like H&M, Zara, Gap and other global clothing retailers – and simultaneously shows us what some remarkable individuals are doing across the globe to offer an alternative in the form of designers like Stella McCartney, fashion executives, activists and journalists who are pushing for an ethical and sustainable future for global fashion. SUNSHINE SUPERMAN thrusts you into the world of foot-launched human flight with helmet-mounted cameras that allow you to experience the exhilarating plunge firsthand. A heart-racing documentary portrait, director Marah Strauch’s evocative debut film tells the incredible story of Carl Boenish, an engineer turned stuntman-cinematographer whose early passion for skydiving led him to ever more spectacular – and dangerous – feats of flight. In the 1970’s, Boenish brought revolutionary filmmaking techniques to his role as one of the founders of BASE (Bridge, Antenna, Span and Earth) jumping, a movement that requires parachuting from a fixed structure. In 1984, the Boenishes – his wife, Jean, was drawn to BASE jumping through his love for it – together broke the Guinness World Record on Norway’s “Troll Wall,” the tallest vertical rock in Europe. Told through a stunning mix of Boenish’s 16mm archive footage and state-of-the-art aerial photography, SUNSHINE SUPERMAN is a potent time capsule of a transformative era that showcases both the beauty of the natural world and the enduring power of film as a medium. Tuned to the most beloved radio hits of the era, this extraordinary visual chronicle will leave you breathless and inspired. Director Strauch talks about the unlikely discovery of the public and private footage shot by Boenish, the love story at the core of this film and her own personal connection to the world of BASE. SUNSHINE SUPERMAN opens in New York at the Sunshine Cinema 5 and in Los Angeles at The Landmark on May 22nd, 2015. The film will open nationally on May 29th, 2015. The Mammoth Lakes Film Festival, held in the scenic and majestic setting of Mammoth Lakes, California, has announced its line-up of screenings for the festival’s inaugural year. The five-day festival will take place May 27-31, 2015, and will open with acclaimed Academy Award winning filmmaker Alex Gibney’s new documentary Steve Jobs: The Man in the Machine. The festival will present sixteen films in Narrative and Documentary Competition, as well as special events and screenings, and an industry panel discussion on women in the filmmaking world, with producer Allison Amon (The Queen of Versailles), actress Kristanna Loken actress (Terminator 3) and other guests. 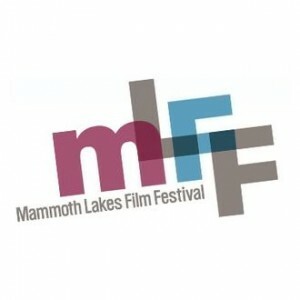 Taking place five hours north of Los Angeles by car and thirty minutes south of the entrance to Yosemite National Park, the Mammoth Lakes Film Festival will deliver an intimate and unique experience for festival goers, filmmakers, and industry guests, with the opportunity to experience screenings and events in a beautiful mountain setting. The festival will present a diverse collection of feature films – from world premieres to film festival favorites, short film screenings and Q&As over five days. The festival will also include nightly gala events that celebrate the excitement and discovery of visionary filmmaking. 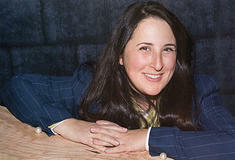 Mammoth Lakes Film Festival Founder Shira Dubrovner joins us for a lively conversation on the exciting and inspiring new addition to the film festival lineup. A thrilling journey to one of the world’s most perilous environments, Antarctic Edge: 70° South follows a team of world-class scientists as they explore the West Antarctic Peninsula. In the wake of devastating climate events like Superstorm Sandy and Hurricane Katrina, oceanographer Oscar Schofield teams up with a group of researchers in a race to understand climate change in the fastest winter-warming place on earth: the West Antarctic Peninsula. For more than 20 years, these scientists have dedicated their lives to studying the Peninsula’s rapid change as part of the National Science Foundation’s Long-Term Ecological Research Project. Antarctic Edge brings to us the stunning landscapes and seascapes of Earth’s southern polar region, revealing the harsh conditions and substantial challenges that scientists endure for months at a time. While navigating through 60-foot waves and dangerous icebergs, the film follows the team as they voyage south to rugged, inhospitable Charcot Island to study the fragile and rapidly declining Adelie Penguin. Filmmaker Dena Seidel spent six weeks filming the feature-length documentary Antarctic Edge: 70°, completed with the participation of 14 undergraduate students from the Rutgers Center for Digital Filmmaking. An award winning documentary filmmaker and published author, Seidel join us to discuss the results and the ramification of the research highlighted in this enlightening and entertaining film. 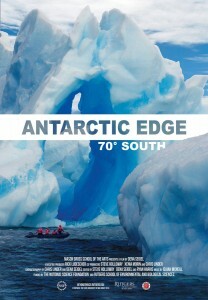 Antarctic Edge: 70° South will open in Los Angeles on May 15 at Laemmle Music Hall. Twelve-year-old Helena Lee (debut performance by Moriah Blonna) sleeps in the sandy closet of a one room apartment in an unkempt corner of California’s Venice Beach. Her father, charismatic surf-rat Mickey (Tom Dunne), spurs her journey as an aspiring writer with his iconoclastic absurdist view of the world. Helena conducts a season to season pilgrimage in and around the carnival of beach life; observing the bohemian locals, the hopeful tourists, the lost and forgotten who have reached the end of the map. Helena’s observations lead to an introspective spiritual and intellectual wanderlust often leaving her standing at the water’s edge, facing the void, a head and heart full of unanswerable questions; how shall I to live? why did my mother die? At the cusp of adolescence, her view of what it means to become a woman is torn between the opposing influences of the free spirited strippers who flock around Mickey and the sacred memory of her mother Luisa (singer/songwriter, Maria McKee). Forever preserved in Helena’s wakeful dream, the vision of her mother is a saintly protector who haunts with calming advice and compassionate lullabies. As winter approaches and the sea and sky begin to darken, Helena’s quest to find her identity is hastened and forever impacted by a life-altering event. Director and writer Jim Akin will join us to talk about the raw emotional impact of his compelling new film. The Ocean of Helena Lee opens in Los Angeles on May 8 at the American Cinematheque at the Egyptian Theatre, the American Cinematheque at the Steven Speilberg Theatre May 9th – 13th and on May 14th at The Aero Theatre in Santa Monica. 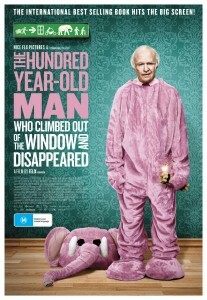 Powered by the antics of a mischievous centenarian on the run, the comic fable THE 100-YEAR-OLD MAN WHO CLIMBED OUT THE WINDOW AND DISAPPEARED abounds with irreverent charm. After a long and colorful life working in munitions and getting entangled in the Spanish Civil War, the Manhattan Project, and other definitive events of the 20th century, Allan Karlsson (Robert Gustafsson) finds himself stuck in a nursing home. Determined to escape on his 100th birthday, he leaps out of a window and onto the nearest bus, kicking off an unexpected journey involving, among other surprises, a suitcase stuffed with cash, some wicked criminals, and an elephant named Sonya. Like an unruly Nordic cousin of Forrest Gump, Allan’s youthful escapades and current adventures weave together into an offbeat treat for anyone who’s young at heart. Starring beloved comedian Robert Gustafsson, this fanciful spin on world history is based on a best-selling novel and also the highest-grossing Swedish film of all time. Director and writer Felix Hengren joins us for a lively conversation on challenges and rewards of adapting a beloved international best seller into film. Opens May 8, 2015 at Laemmle’s Royal Theatre in West L.A., Playhouse 7 in Pasadena, Town Center 5 in Encino and Regency South Coast Village 3 in Santa Ana. 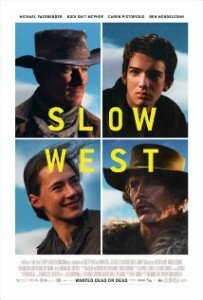 A dark river of fatalism courses beneath the beautifully photographed vistas of Slow West, an intriguingly off-center Western that brings a bevy of European talent to bear on an American frontier story. Starring Kodi Smit-McPhee as a young Scotsman who’s made the journey to Colorado in search of the woman he loves, and Michael Fassbender as a wily companion who turns out to be hunting the same quarry, John Maclean’s impeccably crafted writing-directing debut at times has a distinctly Coen-esque flavor in its mix of sly intelligence, bleak humor and unsettling violence, exuding fierce confidence. Winner of the grand jury prize in the international dramatic competition at Sundance, this off-kilter take on the harsh and absurd realities of frontier life. Founding member of the Beta Band, director and writer, Maclean joins us for a conversation on the similarities and difference between the worlds of film and music and his unique on take on Western archetypes. Hadas Yaron (Fill the Void) returns to the big screen in Maxime Giroux’s Felix and Meira, a story of an unconventional romance between two people living vastly different lives mere blocks away from one another. Meira (Yaron), a young Hasidic housewife and mother, and Félix (Martin Dubreuil), a man lost in mourning the recent death of his father, unexpectedly meet at a local bakery in Montreal’s Mile End district. What starts as an innocent friendship becomes more serious as the two wayward strangers find comfort in one another. 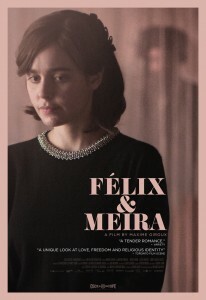 As Felix opens Meira’s eyes to the world outside of her husband Shulem (Luzer Twersky) and the tight-knit Orthodox community, her desire for change becomes harder for her to ignore, ultimately forcing her to choose: remain in the life that she has always known or give it all up to be with Félix. Giroux’s film is a poignant tale of self-discovery, a fascinating glimpse into the Hasidic community, and a modern love story set against backdrops both familiar and unknown. Twersky grew up in a Yiddish-speaking Hasidic community, he received no formal secular education or access to film, television, music or magazines. 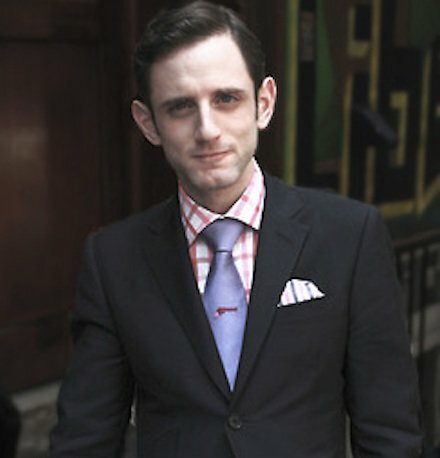 In his early 20’s, Twersky taught himself English and decided to leave his community to pursue an acting career. Twersky gained experience by playing minor roles in student films until he was cast as a troubled and rebellious Hasid in Pearl Gluck’s “Where Is Joel Baum?” for which he received a Special Jury Prize at the 2012 Starz Denver International Film Festival. His subsequent role was a lead in Maxime Giroux’s “Felix and Meira” (Toronto International Film Festival 2014 – Best Canadian Feature) opposite Hadas Yaron. It won him Best Actor prizes at both the Torino Film Festival and Amiens Film Festival. He joins us to talk about the challenges and rewards of integrating his own history with the demands of his portrayal of Shulem. Based on the wildly successful web-series of the same name, KTOWN COWBOYS is a bro-mantic dramedy that follows a group of ball-busting, hard-partying friends wrestling with their evolution into adulthood. As their individual struggles come to light, the group of friends band together in Koreatown and through late nights at seedy after-hour soju bars, karaoke drinking girls and even a stint in jail, each emerges as a better version of himself. 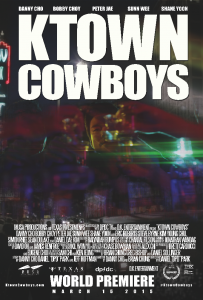 Fresh of its successful premiere at SXSW, KTOWN Cowboys just won the Best Ensemble Award at the 2015 Asian Pacific Film Festival. Director / writer Daniel Park stops by to talk about the journey turning the popular web series into a feature length film, the future of the series and the cast members. Since 1970, ubiquitous local artist Douglas Miller has shot a roll of film per day– that’s 350,000 spontaneous snapshots on the streets of Laguna Beach. At times moving and at others hilarious, this documentary examines the 44-year relationship between photographer and hometown. 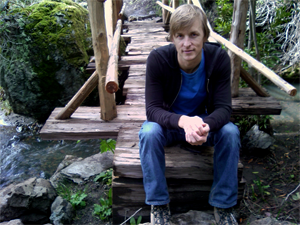 Director Jason Blalock has a long film resume as a freelance director, producer, cinematographer, and editor on a variety of news, documentary, and commercial projects. He earned a certificate in Film. In 2007, he completed the documentary filmmaking program at the UC Berkeley Graduate School of Journalism, where he studied under legendary cinematographer Jon Else. He also holds a Masters in Latin American Studies from UC Berkeley. Blalock talks about his own Laguna Beach history, working with a local icon and bringing the sun-soaked joy of Doug Miller’s art to the world.